flip 3 coins. For every heads add 20 to Damage. 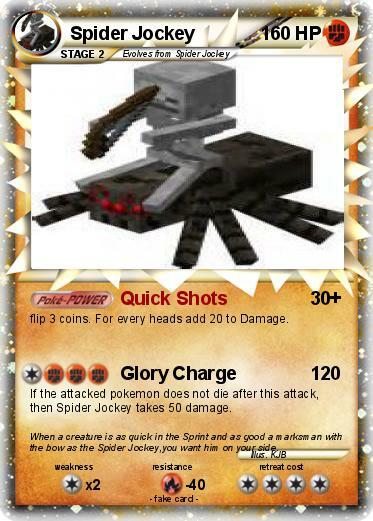 If the attacked pokemon does not die after this attack, then Spider Jockey takes 50 damage. Comments : When a creature is as quick in the Sprint and as good a marksman with the bow as the Spider Jockey,you want him on your side.